Timber has a natural quality that blends effortlessly into a garden, so it’s little wonder that Australians love decking. 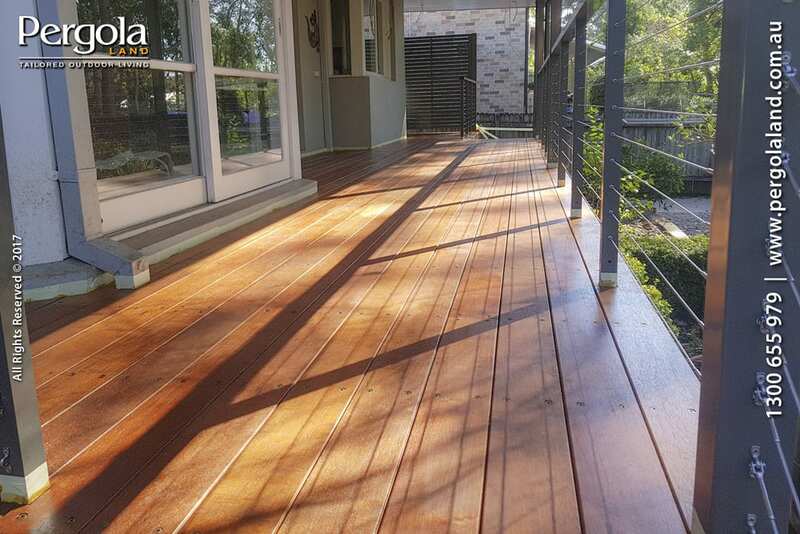 For Western Australian homeowners, timber decking is the number one choice of product, working perfectly to compliment the state’s warm climate. Despite decking needing regular maintenance and care, Yahoo News believes the benefits far outweigh the effort, by offering resort-style living and a rich, warm feel underfoot. A garden design that has been seen a lot of late is the inclusion of both decking and other materials, which create a multi-layered landscape. As many homes are now built on steep slopes, this is a perfect way to bring texture to a garden and hide unwanted slopes. Treated pine has always been a popular choice, but growing in popularity are the use of hardwoods and composites, which can often last much longer. Such materials are more expensive, but if you lack the time to properly maintain your decking then this could be a good option. Another option to help protect your decking would be to create a cover, which will help to shield your decking from the elements.